Western Wyoming and the Grand Tetons afford some stunning scenery, but just 25 minutes south of Jackson Hole is a spot that is certain to grab you as it did me; it’s theSnake River Sporting Club. Crossing the Snake River into the private enclave, I entered the expansive Snake River Sporting Club property with its world-class golf course just one of many outdoor amenities. That said, the course will surely attract the most discriminating golfers. As I traversed the 3-mile private road leading to the clubhouse my heart quickened. Soon I spotted the incoming nine holes artfully crafted by Tom Weiskopf on the river valley floor that is shared with the Snake River. “Wow!” is all I could utter to myself. While there are no vistas of the Grand Tetons, this mountainside-valley setting that makes up the Snake River Sporting Club is sublime. The tastefully rustic, 26,000 square foot clubhouse holds court high above the course and is the centerpiece of this residential community that is far more than golf, but for these purposes, I shall only review the golf. As is becoming more commonplace in today’s developmental golf arena, many majestic properties have struggled just to survive. 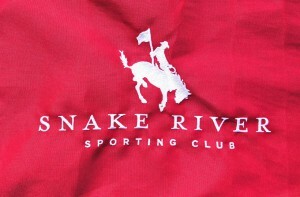 This would also be the case with the Snake River Sporting Club. Designed by Tom Weiskopf in 2006 to rave reviews, even being ranked the #2 best private course to open that year by one magazine as well as the best course in Wyoming. When the economy suffered a couple of years later, it failed and lay dormant. In 2013 with an infusion of new owners, management, and funding, the facility thankfully reopened. This site that was once the domain of Native Americans, then trappers, ranchers, and homesteaders and thus retains its rustic western flavor throughout. Snake River is not the ornately decorated, finely clipped garden spot, but rather the wild and wooly cross-country adventure that golf might have taken if it were played here in the 1800s. Architect Weiskopf appeared to have left the flavor of the landscape intact moving little earth on the hillside that spills into the Snake River valley. The first tee and practice areas are the only golf-oriented locations by the clubhouse area as the challenge unfolds into the wooded valley and then proceeds to play among the open meadows for the back nine. It all comes together quite nicely and the views are spectacular. The yellows of the waving fescue mix majestically with the different hues of green attended grasses to make for a stunning landscape. As wonderful as the views of the Tetons are just to the north, no one will miss them for an instant when they are on this amazing property. As for the golf, you had better bring your “A” game if you want to leave with any golf balls and your golfing self-image secure. Thick, and I mean thick knee-high or even higher fescue guards every tee box, fairway, and green surround. The immaculate fairways are your only safe haven and I count your chances of recovering an errant drive in the rough as about one-in-twenty. Weiskopf built lots of interesting and challenging movement into the putting surfaces and surrounds. Shots struck to the edges of the putting surfaces will typically bound off into some dastardly places. When you add in the firmness of the smooth greens, putting becomes yet another challenge. In other words, this is just the sport for the accomplished or discriminating player – and a really fun match play course. There is nothing easy or routine about any hole, any shot, or any putt at Snake River; the course is a complete examination. I will also go so far as to say I believe the initial slope/rating of 140/74.9 to be woefully low. This at least on first impression is one of the most challenging courses I’ve played and that includes Pine Valley, Oakmont, Carnousti, Bethpage Black, Winged Foot West, or Koolau. Difficult? Yes. Unfair? No. Ranging from 5,319 to 7,533 with an altitude assist, there are no unreasonable forced carries provided you play the proper tees for your ability. There is, however, a goodly amount of local knowledge required and a driver will not work on every hole. Whereas the landing areas at many other new courses are sloped to collect or contain your shots, a ball at Snake River directed away from the center may just bound off into lost territory. The large putting surfaces play much smaller for approaches because of their firmness and relatively sharp fall-offs. The day I played the greens ran about 9+ on the Stimpmeter and with their slopes; ten would be about the maximum I’d want to see them putt for regular play. In short, Snake River demands that you know where to place every shot and then punishes you for any miscues. As with any really good course, there are plenty of birdies out there for well-executed shots, but woe be the player who becomes intimidated or begins spraying the ball! For me, the highlight of the course was the set of par-fours ranging from 378 to 503 high-altitude yards from the tips. The first three holes are spectacular and set the tone for the day. Provided you hit the fairway, the first hole is not too difficult; the second is Weiskopf’s customary drivable par-four, and the 475-yard bunkerless straightaway third is simply one of the most intimidating, narrow, straight tough flat holes anywhere! There is no margin for error in reaching and locating the narrow fairway or hitting the long, narrow green. The par-threes offer a nice variety and though not overly long, any of them can be a real challenge just to par. If someone is going to make up shots on Snake River, the four par-fives, as is customary on many courses, offer the best opportunity at Snake River as well. Snake River development is much more than just world-class golf. It is a 1,000+ acre tract with six miles of private access to the Snake River surrounded by the 3.5 million-acre Bridger Teton National Forest. Members can enjoy everything from archery, a full 300+ acre equestrian center, sporting clays, and an 18-hole Frisbee golf course to mountain biking, ice skating, groomed cross country skiing, hiking and running trails, and a workout facility with a massage therapy room. There is even a heli-skiing pad nearby and guided hunting and horseback expeditions are offered. For those interested in water, the lakes and streams feature swimming, fishing, kayaking, canoeing, and paddle boarding. Consider of all this in combination with their 7,500 yard Tom Weiskopf golf course – and you could keep rather busy here! 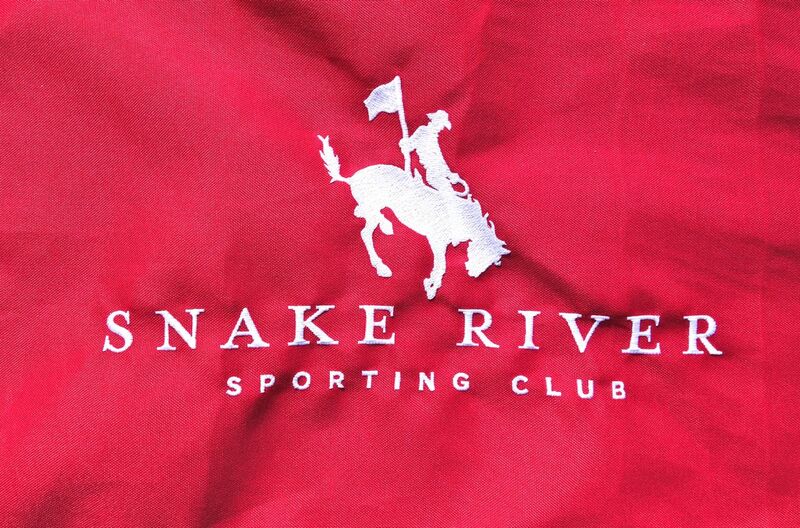 When you think of the uniquely Western club experiences, the Snake River Sporting Club is back and offering a wonderful array of activities!